Apparently folks like what they hear. His latest mixtape Church Clothes, hosted by Don Cannon, has been downloaded more than 200,000 times so far. He’ll release his debut album Gravity this fall, before going on a tour he calls "Unashamed." And if the idea of "gospel rap" leaves you uninspired, know this: you won&apos;t be ashamed to listen to it. “Not to say that my music is going to be me reading the Bible and reading you a scripture on every song,” he says. “It’s just saying that this is who I am in the same way that other rappers have their faith and they believe what they believe. You still hear them as an artist articulating what they want to articulate.” Lacrae spoke about the wild life he lived before turning to God, how not all church kids are squares, and potential collabs with Lupe Fiasco and Kendrick Lamar. COMPLEX: On your tape you talk about how you weren’t always the man of God you are today. Who were you before you had that epiphany? 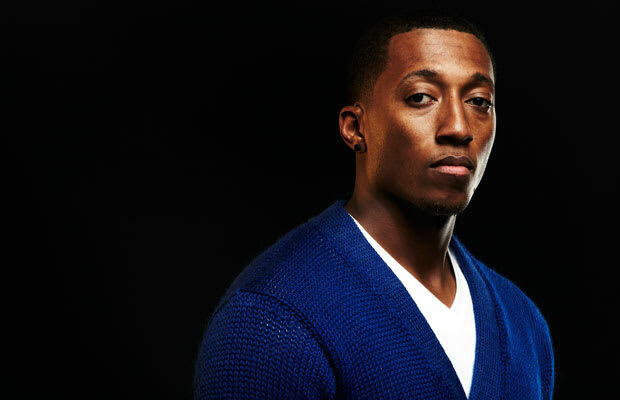 Lecrae: I would say before I dedicated my life to living for God, I was really your average thrill seeker. Whatever came, came. They nicknamed me “Crazy ‘Crae.” I would just do whatever, whenever, however. I’d get drunk, jump out of a third-story balcony. So I just lived reckless. I think I just didn’t really know what I was living for. I was just living for whatever happens today and that was the extent of it for me. I was infatuated with gang life. I tried pretty much every drug there was to try, except for heroin and crack. I was out there. You don’t do any of that stuff anymore? Yeah, I mean I still go out and have a good time but now I have my wits about me, you know what I mean? I was infatuated with gang life. I tried pretty much every drug there was to try, except for heroin and crack. I was out there. What was that moment when you woke up and decided you needed to change? I think it was just accumulation. I think for me it was seeing like, “OK, I keep running into this dead end.” Just having a grandmother who was rooted in the church it was like, “OK, maybe this is the direction I need to turn.” I really didn’t have a faith or know what that looked like and didn’t explore it. A girl invited me to come out to a Bible study and I said, “Why not? I don’t have anything to lose.” I went and, to my surprise, I saw people that loved God, but they were not square or rigid. They were just people like me. They read the same books and listened to the same music. Their character was just different. They were loving and that’s really what drew me in. After that, it was just hearing them talk about their faith, hearing them talk about Jesus specifically. That was it for me. Right after high school. Not even a year after high school. So I was 19 and I had done everything from 16 to 19. I had done more than the average adult. And even after me saying, “Ok God I really want to live for you,” it wasn’t overnight. It was a process. And so I spent a lot of time making bad decisions. Do you get love from rappers outside of Christian hip-hop? Any plans for collabos? Yeah, they really have reached out. [There are] a lot that I’ve just been saving. For me it&apos;s just about the relationship, so a lot of those collaborations I’m looking forward to doing on an album. I’ve had Bun B reach out and call and say, “Man I love what you&apos;re doing. I appreciate you doing what you&apos;re doing.” Me and Kendrick Lamar have had conversations for years back and forth, so that’s my dude. Lupe [Fiasco] and I have chopped it up numerous times so it&apos;s kind of like he&apos;s actually recommending my music to someone else. I’ve had Bun B reach out and call and say, &apos;Man I love what you&apos;re doing. I appreciate you doing what you&apos;re doing.&apos; Me and Kendrick Lamar have had conversations for years back and forth, so that’s my dude. So there&apos;s a mutual respect. For me it’s been more about the relationship and knowing that my music has substance and I have direction and vision and it’s not just like, “Hey, lets do a house song for the club.” But “How can we change the culture? How can we change the way people are thinking,” and who are the people that I can collaborate to do that with. That’s really what I wrestle with. Are you a fan of hip-hop in general. Or is a lot of today’s rap out of the question because of the crazy content? Basically, do you listen to folks like Rick Ross? If and when you collab with a Lupe or Kendrick, will they have to tone it down a bit to rap alongside you, content-wise? I think it depends on what we&apos;re talking about. I’m all about authenticity. If somebody said, “Yo I struggle with anger,” I would want them to get on there and talk about their struggles with anger. If they&apos;re like, “Man I wanna kill somebody,” then talk about that and be honest, ‘cause people resonate with honesty. But, obviously, I’m not going say, “That’s OK.” I’m going to talk about, “Man I understand your pain and your woes. But how can I provide some hope or help in this particular circumstance?” So I’m all about painting pictures of real life but just having a different perspective on it. How tough is it to walk the line of being a Christian rapper without being preachy? I think you have to create a new normal for people and you have to walk with people and talk to people, not talk at people. I really care about people. So instead of me just saying, “You’re an object of my music. You just sit here and listen,” I care about how you’re going to respond to it. That’s the way we do our music. One of the lines on “Price of Life” talks about a girl who calls herself a Barbie. So I wanted to ask you what do you think about Nicki Minaj’s movement and her Barbs. That was just like a real scenario of me running into a real young lady whose whole persona was that. She was so beat-down and so broken and had been so emotionally abused that her only escape was to dress herself up as much as she possibly could. And for her, she played around like, “Oh, I’m just a Barbie,” But the reality is, “Sis, you&apos;re broken and you have to deal with this reality. You’ve been abused.” She’s like, “I think all men are terrible. I don’t trust any of them.” It was just kind of like, “Man how can I help you?” So, no jabs at Nicki.